One morning in 2004 or so, I got up and decided I wanted to make a video game. I was about 15 or 16, I had just finished Broken Sword, and went in search of a program that could let me make an adventure game myself. I tried a few different ones, and eventually settled on Adventure Game Studio. 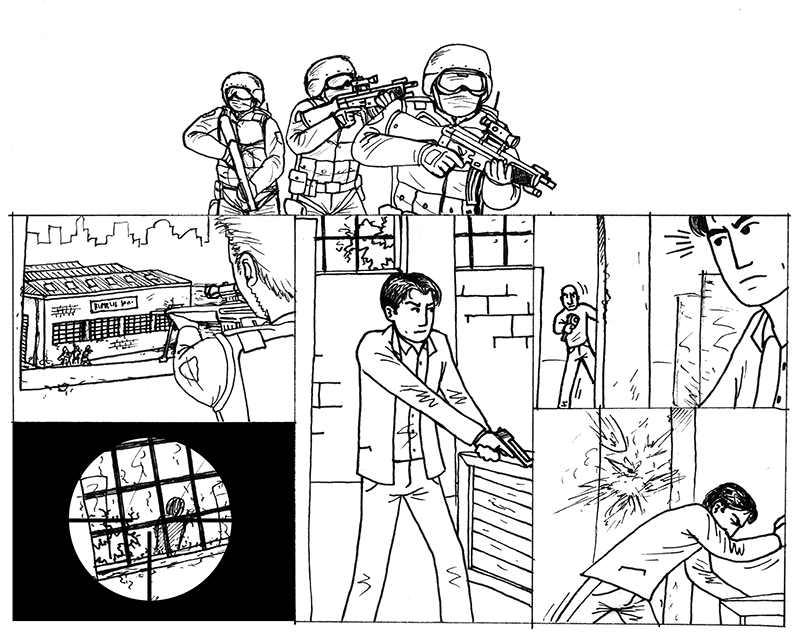 With it I started my first game, based on a 44-page comic I had drawn the years before. It was called The Majestic Conspiracy. For the next ten years I worked on it off and on, through several iterations of the script and the art style, through multiple versions of AGS, four years of game design college and an internship. It was the classic too-ambitious-to-finish first project. So today I thought I’d write about it, to honor its demise. TMC was a celebration of all the 90s cop stories I loved – Lethal Weapon, Die Hard, Rush Hour, Turner & Hooch, 48 hrs, Max Payne, and even some special agent fiction like Mission Impossible and Metal Gear Solid. The protagonist was the default wavy-haired, leather-jacketed badass detective, with the double-crossing partner and the gorgeous female colleague. It told of a grand conspiracy by a shadow organisation, led by a white-haired man with a scar over his eye, trying to take over New York. Why and how exactly changed many times over the years. It was basically every trope ever. The big bad was based on Majestic 12, a secret government agency I had learned about in Deus Ex. 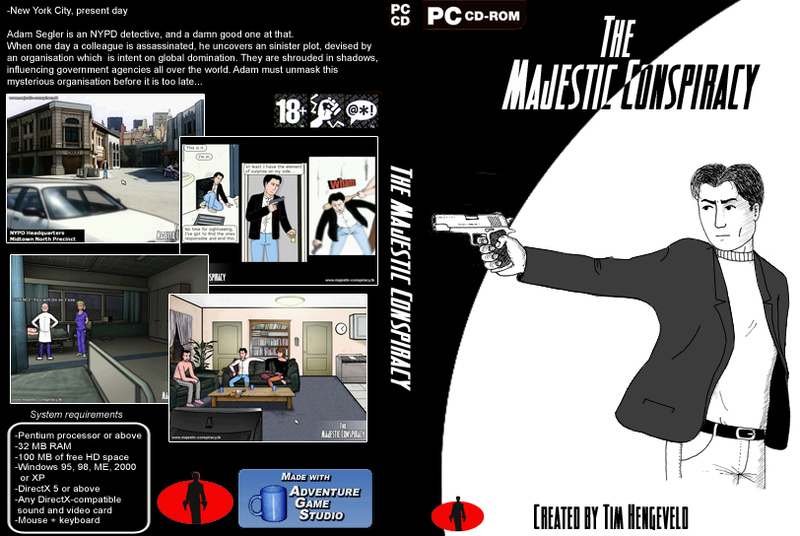 After I was working on it for a while I saw that there was another game about a shadowy organisation called Majestic. I cursed a little under my breath. But back then I wasn’t too serious in thinking about marketing and things like that. The game was going to be free anyway, so I kept going. I was mainly making it for myself. 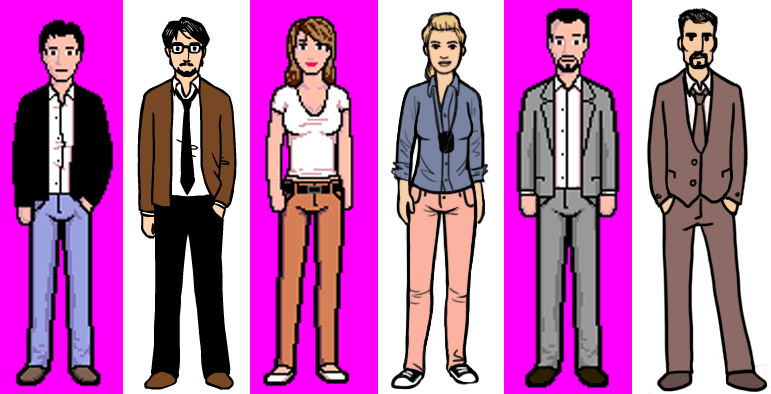 When I started out, I used a mix of photo paintovers for the backgrounds with pixel art characters at a resolution of 640×480. Over the years I started to understand how spaces and geometry worked and so the art became more and more hand-crafted. 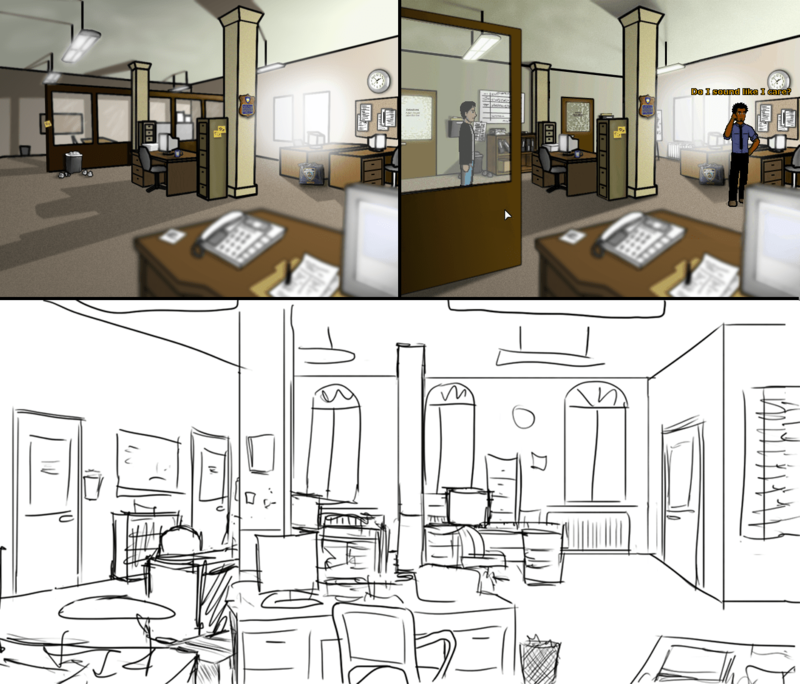 When a new version of AGS came out that supported widescreen I decided to completely change the look to my signature comic-like style I had grown into by then. It definitely looked better, but by that time I was almost graduated and I had so much other stuff to do. There was no way I was going to rebuild an entire full-length adventure game AGAIN. And so the folder has been collecting dust in my dropbox ever since. Maybe someday I will revisit this universe, see how things are going with Adam, Jennifer and Frank. But as big failed projects usually go, I learned a lot from it. About puzzle design, compositioning, game assets and resolution, writing, dialogue trees, and mostly about programming. When I started I knew nothing of game development or coding in C#. By the end I was writing my own editor extentions, and pushing the boundaries of the engine with my graduation project. Even today that knowledge enables me to make the games I want to make in Unity. So whatever you’re working on, if it doesn’t pan out, don’t fret; you probably learned something that will make your next game much better. You can still visit the old TMC website here, including a handful of screenshots from its pixel art days.